Ruusan was a planet in the Mid Rim most famous for the Ruusan campaign, the last stand of the Brotherhood of Darkness under Lord Kaan. The planet lent its name to the Ruusan Reformations enacted after the battle. Originally settled by the Mining Guild 2,200 years before the Battle of Yavin as part of a wave of expansion in the Teraab Sector. Ruusan's mineral deposits proved disappointing however. It was the only source for the Ruusan crystal. Ruusan was originally a temperate, pleasant world, inhabited by Ruusanians, Humans, and a strange sentient species known as Bouncers. Ruusan had three moons, referred to by locals as the "Three Sisters." Smugglers claimed that at least one of the moons had ruins of an ancient civilization. Ruusan was the site of seven battles between the Sith's Brotherhood of Darkness and the Jedi's Army of Light. During the last battle of Ruusan, 1,000 years before the Battle of Yavin between the Jedi under Lord Hoth, and the Sith under Lord Kaan, much of the planet's surface, including several cities, were destroyed. After the battle had ended, a Jedi Knight named Johun Othone petitioned the Galactic Senate to construct a grand mausoleum containing the one-hundred fallen warriors called The Valley of the Jedi, located on the former location of Olmondo. Despite this, the world was quickly forgotten, as the Galactic Republic turned inward. Isolation and crossbreeding amongst the inhabitants produced a near-Human population that became known as Ruusanians. Shifting nebulae within the stellar nursery of the Teraab soon erased hyperspace routes to Ruusan, leaving it inaccessible from the galaxy at large. 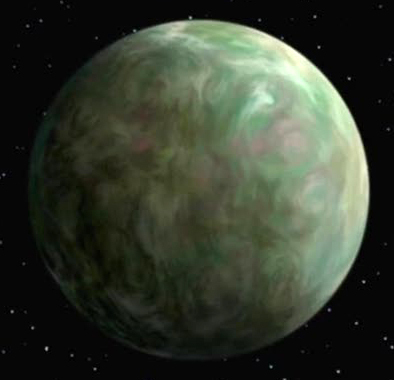 The Separatists briefly established a spy post in orbit of Ruusan during the Clone Wars, but it was soon destroyed. By the time of the Galactic Empire's reign, Ruusan was mostly forgotten. Rediscovered by the smuggler Jerg 11 years before the Battle of Yavin, the planet came to be used by independent spacers and merchants as a base of operations. A decade later, Rebel refugees from Sulon settled on the planet, following Jerg and Morgan Katarn. The planet's isolation would end shortly after the Battle of Endor. The Dark Jedi Jerec, informed of the location of the Valley of the Jedi, came to the planet intending to claim the Valley's power for himself. The Jedi Kyle Katarn, assisted by the spirit of Qu Rahn, managed to stop Jerec, slaying the Dark Jedi below the monuments that Othone had built centuries ago. Katarn would return to Ruusan 14 years after the Battle of Yavin, during the Disciples of Ragnos crisis to investigate the Valley of the Jedi for cult activity.